Job Description: A leading pan – African, Commercial bank seeks to appoint Non – Executive Director to be based on the board of their Tanzanian Subsidiary. This individual will be appointerd to act on behalf of the shareholders in the overall interest of the Group and will be responsible for providing overall guidance and policy direction to the Groups’ Management. Economists, Financial Executives, Business Lawyers, Former Central Bank Officials, Former Commercial/Investment Bankers, Entrepreneurs, Business Managers handling their own businesses, Active or Former CEOs or Executives in sectors such as Oil, Water, Energy, Transport, Telecommunications Trade Fairs Organizers/Managers, Prominent civil society personalities operating in the fields of good governance excluding active politics. 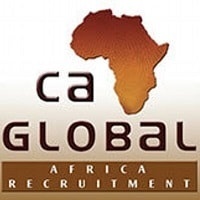 The focus is finding a sales manager that has experience in selling electrical systems, equipment in the Utility segment industry in Tanzania. Plan and ensure execution of Division, Business Unit or Product Group sales strategy for assigned area, to achieve both qualitative and quantitative targets for products, systems and/or services in a profitable way. Responsible for leading and developing and coaching the Sales organization proactively, to exceed the sales targets through high performance in order to ensure high levels of customer satisfaction. Service Manager across different segment and across different industries and component applications. Implement Service strategy and drive Service growth locally at the respective local unit level. Lead the Service organization and is responsible for the P&L to achieve performance targets and to optimize the utilization of service resources.